AIR_J is a Website dedicated to disseminating information about Artist-in-Residence programs across Japan in both Japanese and English. Artist-in-Residence (AIR) is a short-term residence program to support creative activities of artists, creators, and scholars. AIR_J website provides information on AIR programs in Japan, such as the outline, achievements, and application requirement of each program, to those living abroad who are interested in AIR programs and culture of Japan. It also offers the cross-searchable database of AIR programs, FAQ, interviews and essays to update the user with the latest information of AIR programs in Japan and abroad. The Japan Foundation organized “Artist-in-Residence Study Group” from 1993 to 1994 to make an extensive research on about 150 AIR organizations and institutions in Japan and abroad. The results of this research and new observation report were compiled to publish “Report of Artist-in-Residence Study Group” in 1995. In 2001, the contents of the report were organized as a bilingual database to launch the AIR-JAPAN, the only website in Japan with the comprehensive information on Japanese AIR programs. Five years after its launch, in 2006, the website was updated with the latest information of existing organizations, research on new organizations, investigations on new trends of crossover between genres of art and performances, additional interviews, and external links to cover cultural information in Japan. 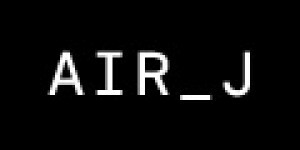 In 2010, AIR-JAPAN is now relaunched as AIR_J with a whole new design and interfaces, including a search engine. The website will keep progressing to be the comprehensive communicator of culture of AIR in Japan. Edited by Media Design Research Ltd. The Japan Foundation was established in October 1972 as a government-affiliated special corporation with the objective of promoting international cultural exchange through the implementation of comprehensive programs. On October 1, 2003, the Foundation was relaunched as an independent administrative institution under the Ministry of Foreign Affairs. With its global network consisting of the Tokyo headquarters, a Kyoto office, two domestic Japanese-language institutes (the Japan Foundation Japanese-Language Institute, Urawa; and the Japan Foundation Japanese-Language Institute, Kansai) and 23 overseas offices in 21 countries, the Foundation operates a number of programs, often in partnership with other organizations, focusing mainly on three areas: Arts and Cultural Exchange, Japanese-Language Education Overseas, and Japanese Studies and Intellectual Exchange.